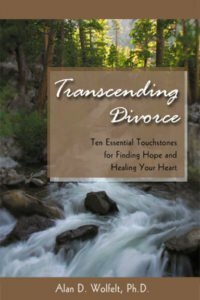 When someone you love dies, you must express your grief if you are to heal. In other words, you must mourn. 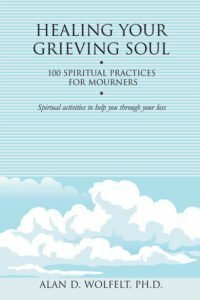 But knowing what to do with your grief and how to mourn doesn’t always come naturally. This flagship title in our 100 Ideas Series offers 100 practical ideas to help you practice self-compassion. 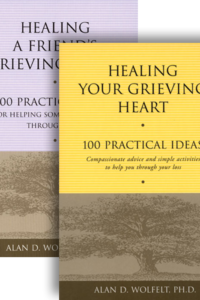 Some of the ideas teach you the principles of grief and mourning. 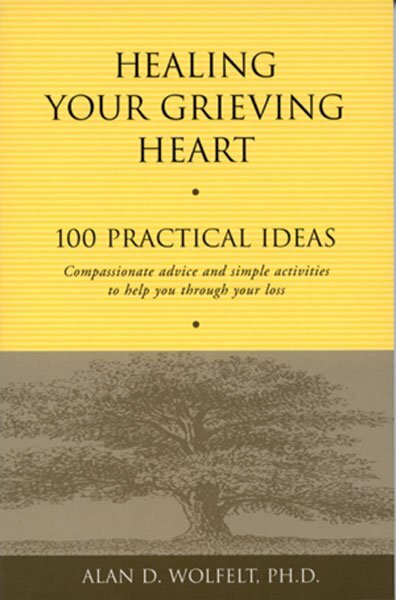 The remainder offer practical, action-oriented tips for embracing your grief. Each idea also suggests a carpe diem, which will help you seize the day by helping you move toward your healing today. “Dr. 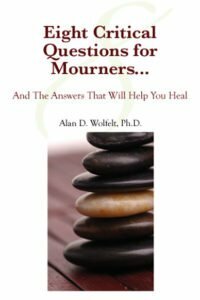 Wolfelt’s 100 Ideas series includes some of his best work on healing the grieving hearts of parents, children, teens, and friends. 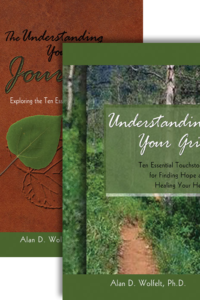 All of the books are easy to read, can be opened at any page for quick inspiration or help, and contain quiet gems of wisdom for coping with grief.